SCHILLER PARK, Ill. (WLS) -- A rare bird flew the coop, twice. Now, a suburban parrot rescue wants your help to find it. Chelsea, 2-year-old male Indian Ringneck parrot, escaped from his owner and was found on Thursday in Schiller Park. 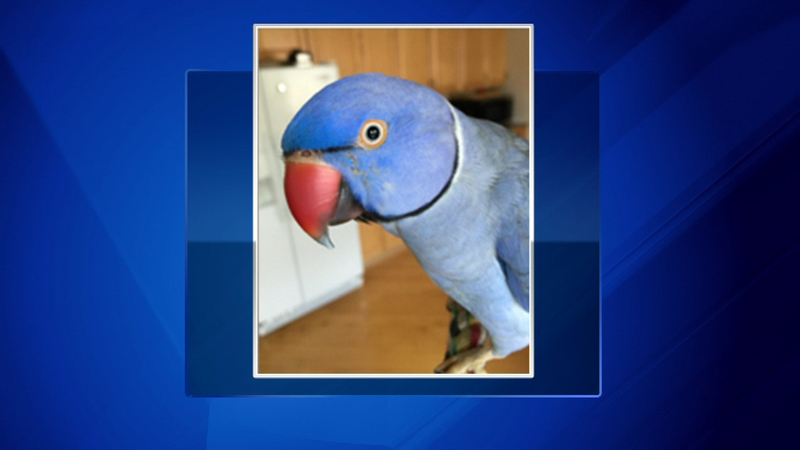 The person who found the bird called the HAPPE Parrot Rescue in southwest suburban Bolingbrook for help. The shelter posted the parrot's pictures on Facebook and found the owner right away. But before Chelsea could be brought home, the bird flew away again, according to the person who found the bird. Chelsea blue, which is rare because most Indian Ringnecks are green. Anyone who spots the parrot is asked to call the rescue.